The global cybersecurity market is expected to grow from $63.7 billion in 2011 to $120.1 billion by 2017, at an estimated compound annual growth rate of 11.3% from 2012 to 2017, according to the report. “Cyberspace today is powered by a gamut of devices and applications that have made it vulnerable to threats from all kinds of users or miscreants such as students, spies, hackers, propagandists, and terrorists. Cyberspace is being used for all kinds of activities be it to gather information, raise funds, communications, or public relations, all of which have been digitized in the current globalized economy”, according to a release about the report. 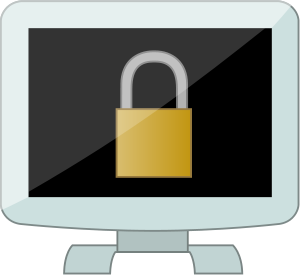 Cyber security or information security is a crucial aspect of information technology market, which is booming with each passing day. Securing computer environments has become a priority for the businesses across the globe. This is driving the global cyber security markettowards inventing innovative techniques for strengthening business environments. These efforts are evident in the past and future growth in the industry. It has also diversified the market with great segmentation. Basic segmentation in the market is based on the types of security, services solutions and technologies that are offered by the businesses in the industry. Geographical segmentation also plays vital role in the results and facts about forecasting trends in the security market. Cybersecurity is really evolving. Civergy and BiON Smartfile help address these issues. Global Cyber Security Market to Reach $120.1 Billion by 2017 at a 11.3% CAGR – New Report by MarketsandMarkets | Virtual-Strategy Magazine.